This has been the first actual “winter” I have had in 3 years, and it’s just beginning! It isn’t winter if there isn’t snow (obviously). Last night there was a lot of hype about a large snowstorm. To be honest, I didn’t really believe it, but I did wake up to snow this morning. Since snow isn’t the norm here even the little bit that did fall is a big deal! 2) There are less people out: dodging and weaving through people while running can be quite challenging. Certain routes are so popular that they need be avoided during the warmer season, not the case in the winter! 3) Winter Running Gear, since I am from Toronto, I was used to wearing winter running clothes and layers. While running in moderate temperatures is preferable, at least I can get some use out of my winter running coat and other cold weather gear. I haven’t had to wear any of it since I’ve been in BC! 4) Soup Season: if you’re going to run in the cold and snow, you definitely need something to warm you up once you’re done. Food is always the right choice and soup is the perfect option! There are a couple great soup recipes in Run Fast. Eat Slow. I’m going to work my way through. This week I made chili and corn muffins, so good and so warming. 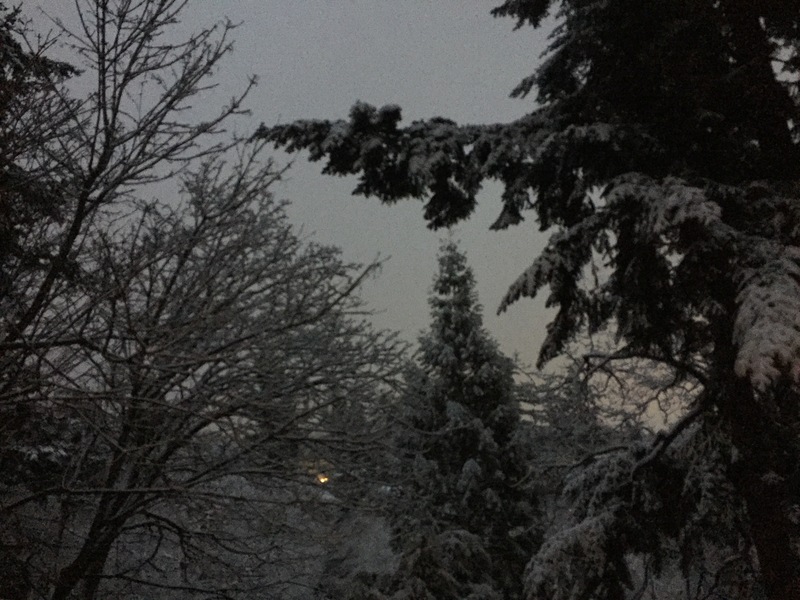 5) Snow: the snow is really pretty, and makes for some really nice photos. Especially because snow is rare here, if it snowed all the time it wouldn’t have made this list! Winter running can be a challenge, but it’s all about finding the little things that make it a bit better. Happy Friday!